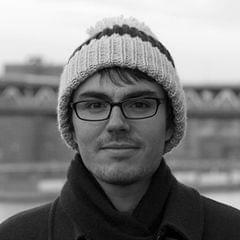 Nicolas Belmonte is the Head of Visualization at Uber. The Visualization group is comprised of Software Engineers, Computer Graphics Engineers, Information Designers and Data Engineers that build data products to explore self-driving car, geospatial and business data at Uber. Prior to Uber, Nicolas ran the interactive.twitter.com effort at Twitter, a public-facing platform that delivers visual narratives describing how big events were lived on Twitter with work featured in the NYTimes and Cannes.